Take your operation to new heights. 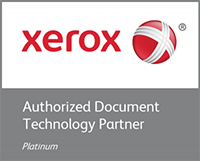 The Xerox® Trivor® 2400 HD Inkjet Press combines a base of proven imaging technologies with new innovations to deliver the next level in 20" continuous feed performance—all in a highly compact footprint. Coupled with a choice of digital front ends, this system makes the process of meeting demanding SLAs easier than ever before. Balance cost, quality, and productivity with one flexible system. The increased speed of the Trivor 2400 delivers maximum capacity in a minimized footprint, making it the most robust performer for its size. New innovations optimize every square foot so you can reliably deliver on demanding SLA-driven timelines. Minimize the cost, image quality, and productivity trade-offs you would otherwise have to make with a one-size-fits-all system. The flexibility built into the Trivor 2400 lets you optimize attributes on a job-by-job basis with choices of resolution, drop size, and variable press speeds so you can deliver on today’s demands. 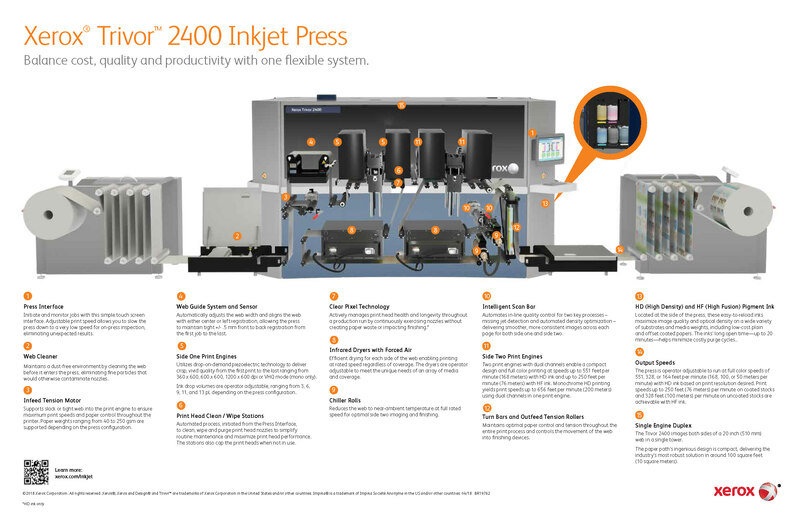 And, the expanded media range of the press makes it possible to run higher-value applications while leveraging the attractive economics of inkjet.